Have you heard strange noises in the attic at night or perhaps scratching sounds in the home? There is a possibility you might have a rat or mice infestation. When they are outdoors, it might not seem significant, but even a small population outside can cause havoc. They carry diseases, damage your home, and can destroy your landscaping. They are tick and flea carriers, and a rat can carry mites as they feed on their hosts. They grow fast, and the population is devastating for the foundation of your house. 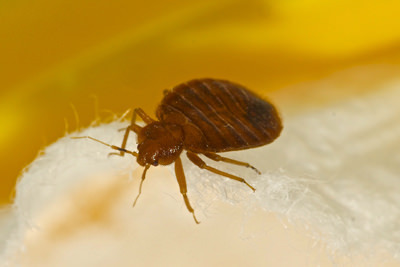 You need to take care of plagues with a pest control mice Las Vegas services. However, what can you expect when a mouse exterminator comes and visit you. Here is the answer to your question. Can you remove mice yourself? These small critters are resilient, and you need to remove all of them in a short time. Their access points need closing up or you are left with another infestation. You need an action plan, and DIY methods rarely work. The important thing is if you need to handle poisons, you need to treat them with care. The best is to leave rodent control to the experts as rats can attach humans and pets. Once you spot a mouse or a rat, it can produce hundreds more a year. Even having one rodent in the home causes devastation to your property and the family’s health. Take care of the crisis before it becomes a plague – call your professional pest control service now. What can you expect with mice removal? Each rodent needs to be taken care off in a different way. The 1st step an exterminator will take is to inspect the building. They will try to identify the type of animal present. They will offer you a short-term resolution to take care of the problem. The advice would be to seal foods in containers and to keep the outside of the home clean and clear of debris. Your pest control specialists will create a plan to suit your infestation needs with an action plan in place. He or she will always consider different ideas from the cheapest to more expensive methods to make the home pest-free. The methods depend on the action plan needed to rid the infestation. Once removed you can take precautions in sealing off entry and may be a great idea to get your neighbors involved in the cause. Making simple changes to landscaping or even the sanitation can make a huge difference to prevent them from re-entering.